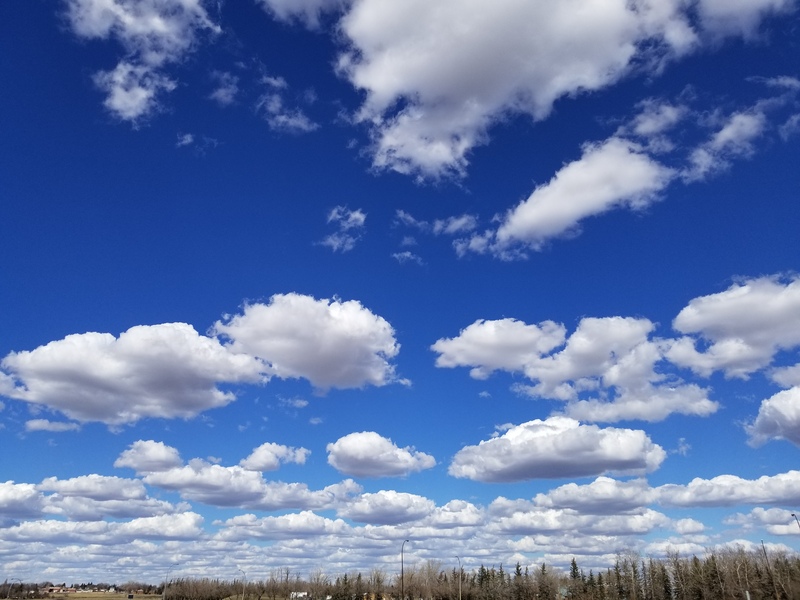 Medicine Hat, Alberta, is the sunniest place in Canada, enjoying 330 days of sunshine each year. Alberta in general is a sunny place, and if it weren’t for the cold winters and the fact my sensitive skin doesn’t like the dryness anymore than it likes Ontario’s humid, cold winters, it’d be a consideration to move here some day. But Ontario’s cold enough for me. 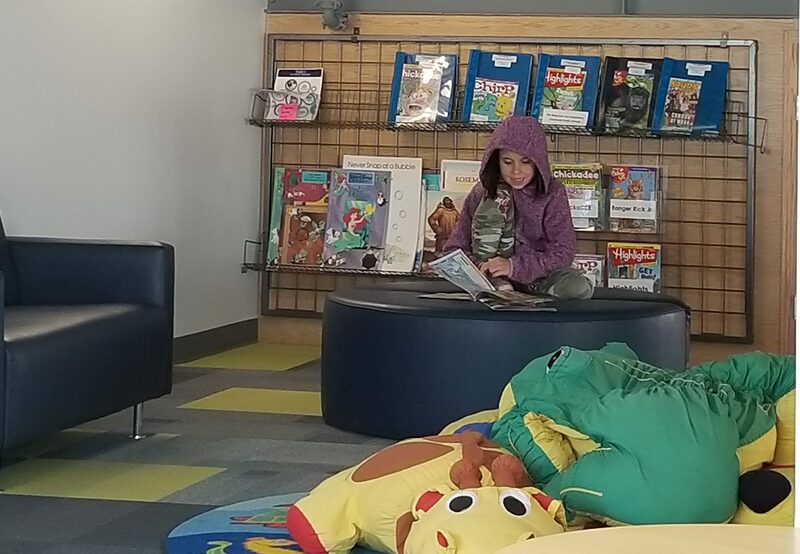 Before going to Medicine Hat, we made a stop in Brooks, Alberta, where we visited the local library. 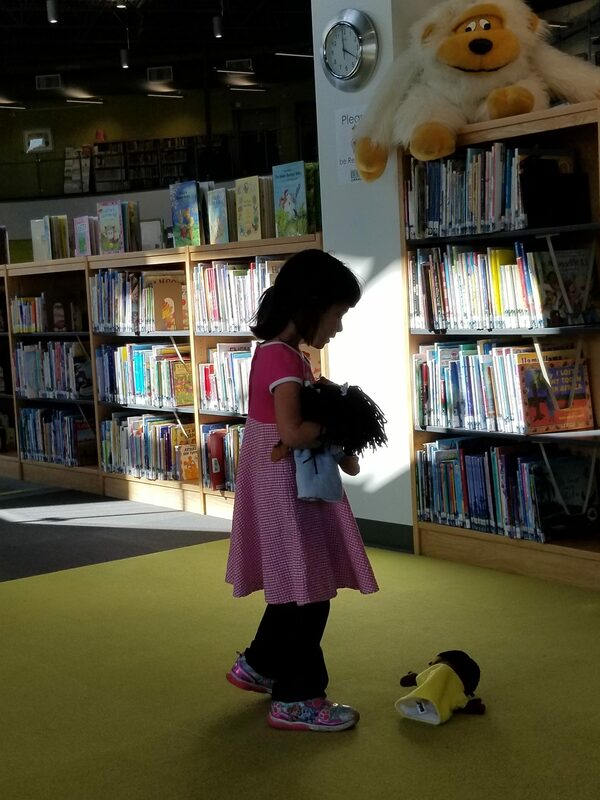 We love visiting libraries during our travels. It gives us a break from long driving days, give us a chance to discover new books, and gives us a glimpse of the communities we visit. 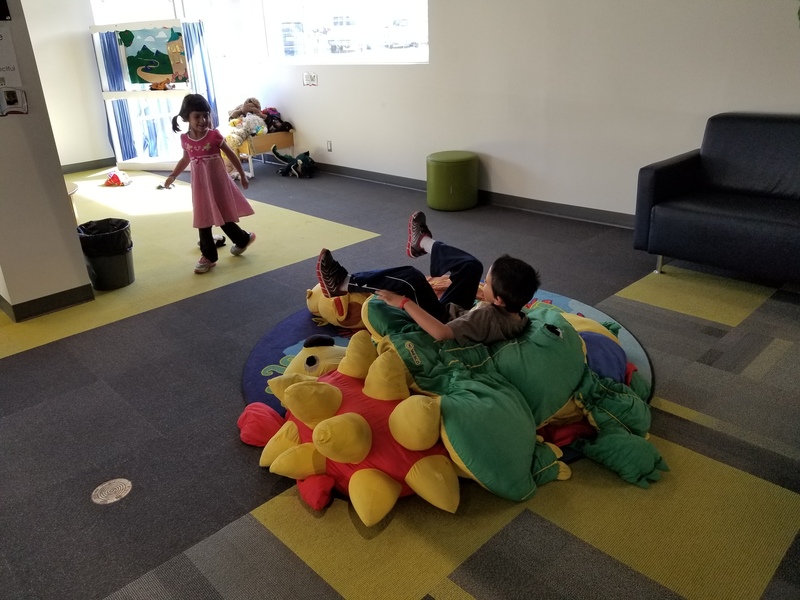 It also gives me a chance to get some freelancing work done, and gives the kids a chance to check out new toys and make new friends. As I walk toward the building, the wind blows my hair across my face, and I wish I’d remembered a hair elastic. But these thoughts are quickly replaced by an admiration of the gorgeous blue sky, against which three flags are flying gracefully. The center one is the most beautiful to my eyes, a reminder of the country that welcomed me, and a sight that always makes me proud to be Canadian. Inside, there are many places to get comfortable with a book—sunny reading corners with comfy pillows set up by windows, beautiful couches to sit down and have a break with a good book. 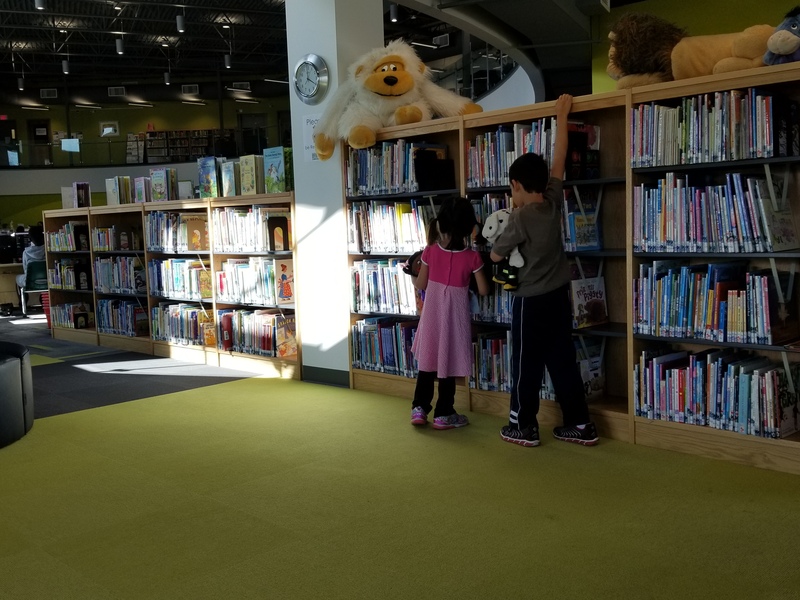 But the children, of course, are happiest to find the children’s area, where many stuffed animals, puppets, and fun children’s books await. While the children play and read, I set up on the second level to get some freelancing work done. There are a few tables near outlets, which makes it easy to sit down and work for a while. And while I work upstairs, the younger kiddos play, and K-girl reads a pile of books, as usual. As our visit to the library nears its end, I make my way towards the exit. 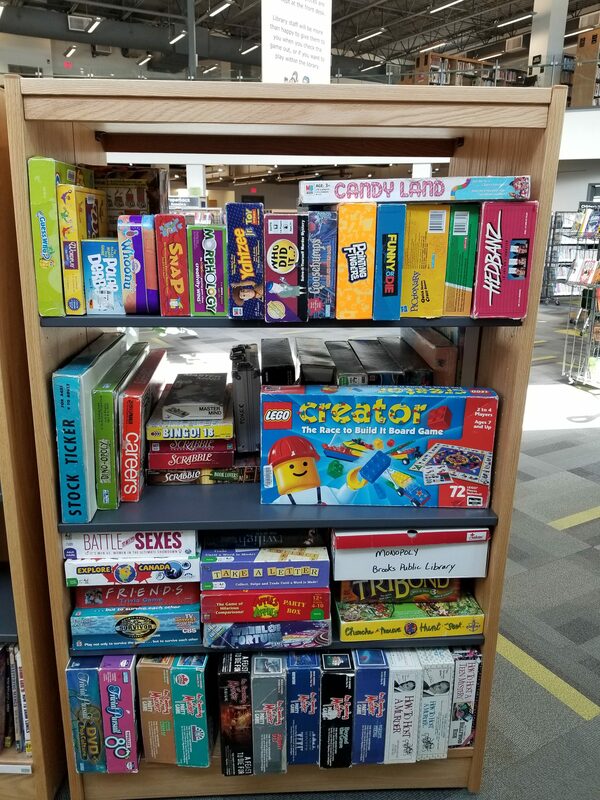 As I pass a shelf, I think to myself, “this is my kind of library.” Our family loves playing board games/tabletop games together, and this library knows how to encourage a love for these wonderful pastimes. Several games are available for patrons to borrow. This is only one side of the gaming shelf. I also notice a “used books for sale” shelf, jam-packed with some pretty great titles, and you can purchase the books by donation. I can’t help myself—despite currently living in a very small space, books are the one thing we don’t restrict ourselves too much from buying. I get a copy of Room, which I’ve already read, but is an excellent book worth reading again (the film was excellent, too), a book about a woman who survived Siberian work camps, and a couple more titles. Despite not having much room in the RV, I have no regrets about buying these books, or any books, really. Later, Dan takes the kids swimming while I finish some work assignments. 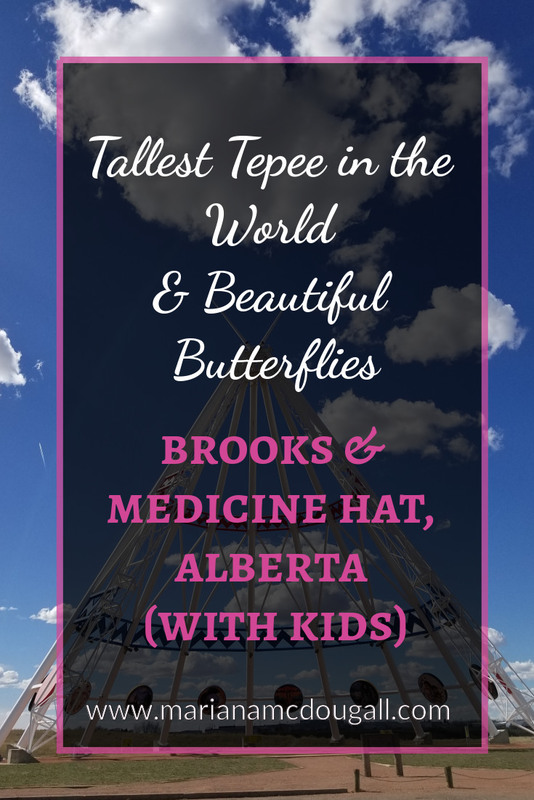 And once we’re done in Brooks, we head to Medicine Hat, Alberta, where the tallest tepee in the world stands, and where the skies are always sunny. It’s also where we stay a couple of extra days, because some bug has been going around the RV, and we need a break. 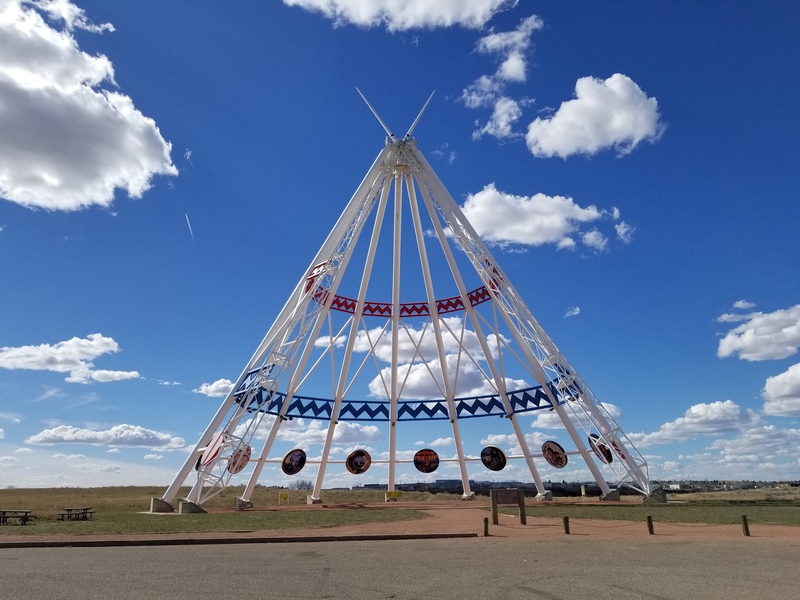 The tepee, the largest in the world, stands against Alberta’s iconic blue sky. This structure is both a tribute and a reminder that we are standing on indigenous land. 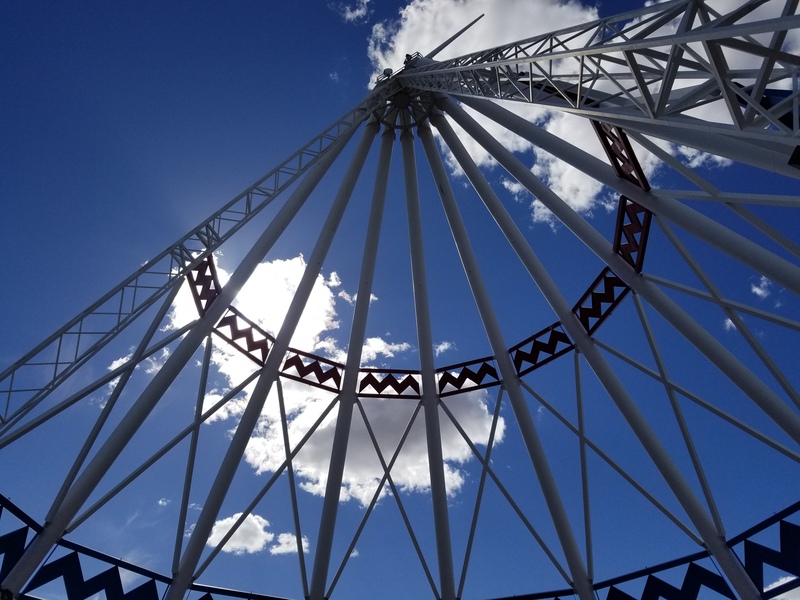 The paintings that adorn the inside of the structure tell the history of the indigenous peoples of the plains, from their traditional story telling, to first contact with Europeans, to the contributions of the Métis people. One painting in particular stands out to me as a person of mixed background. While most people who have met me know that I’m Brazilian, most don’t know that I have a very mixed background. My ancestors come from Italy, Portugal, Lebanon, and Brazil itself, as there are some indigenous roots in our family. Sadly but perhaps unsurprisingly, this indigenous history was never preserved, and I don’t know what tribe my family came from. But I digress. 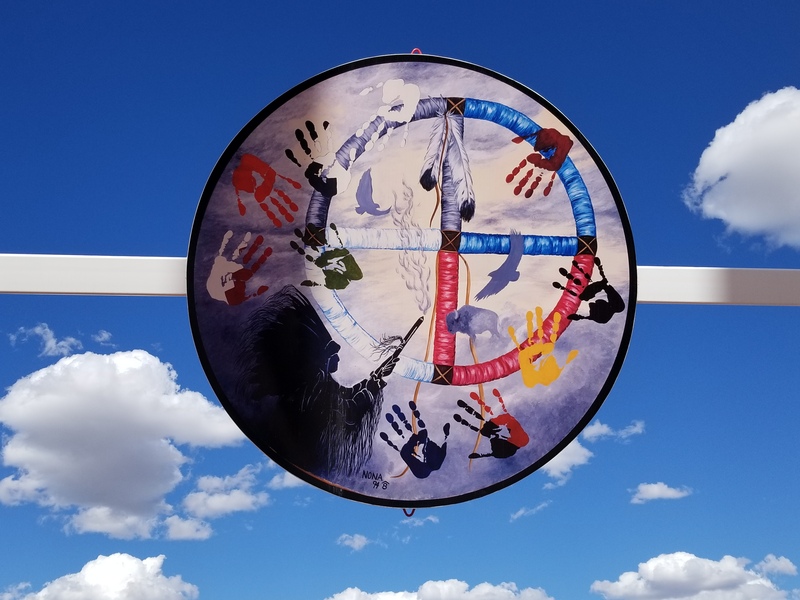 The hands on the painting below represent the multicultural nature of Canada as a country, as represented by handprints of various colours, and some that have multiple colours. The hands with multiple colours represent the identity of mixed peoples. 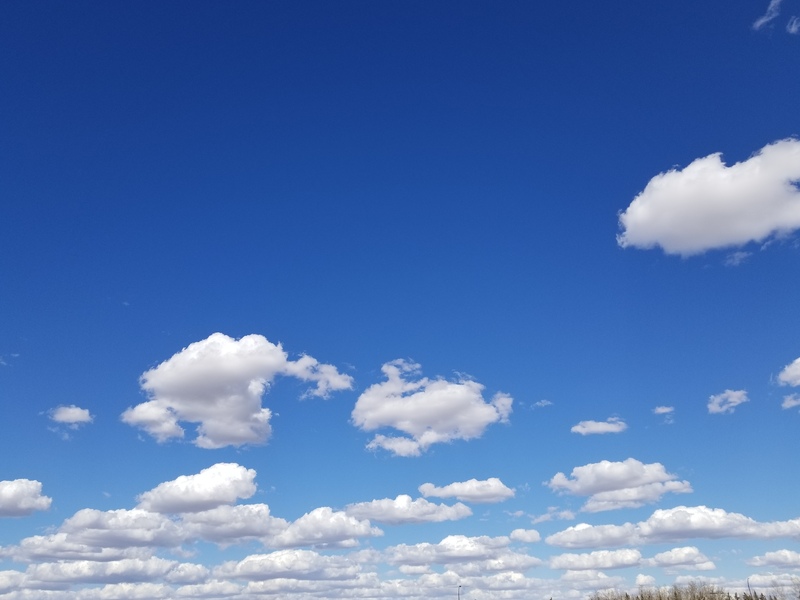 After carefully reading each panel and admiring the structure and paintings, I make my way back to the RV—but not before stopping to admire the absolutely gorgeous sky. After all three kids have fought a nasty virus and it finally catches up with me, we decide to take a break at a hotel in Medicine Hat. The Baymont by Wyndham Inn & Suites is reasonably priced, and we get to have a rest and free breakfast in the morning. 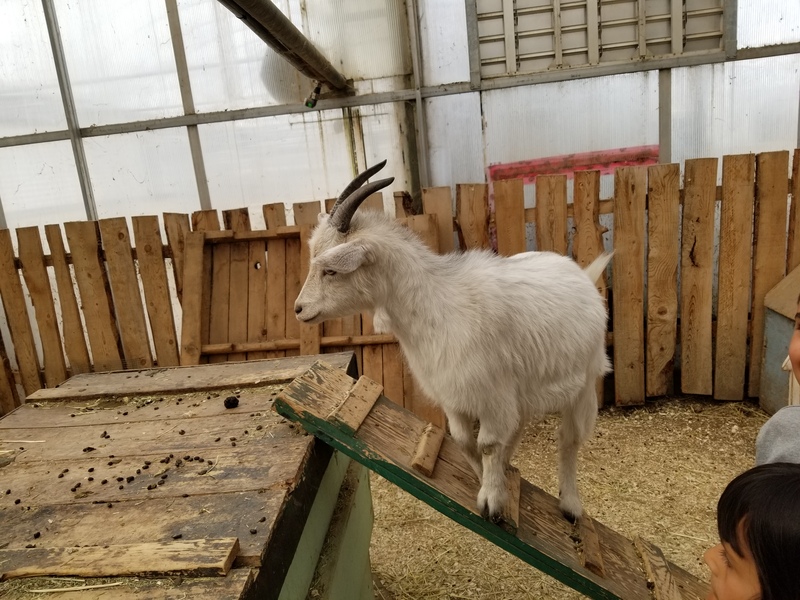 Everyone enjoys having a bath—something I had started to take for granted, living in a sticks-and-bricks home in North America. 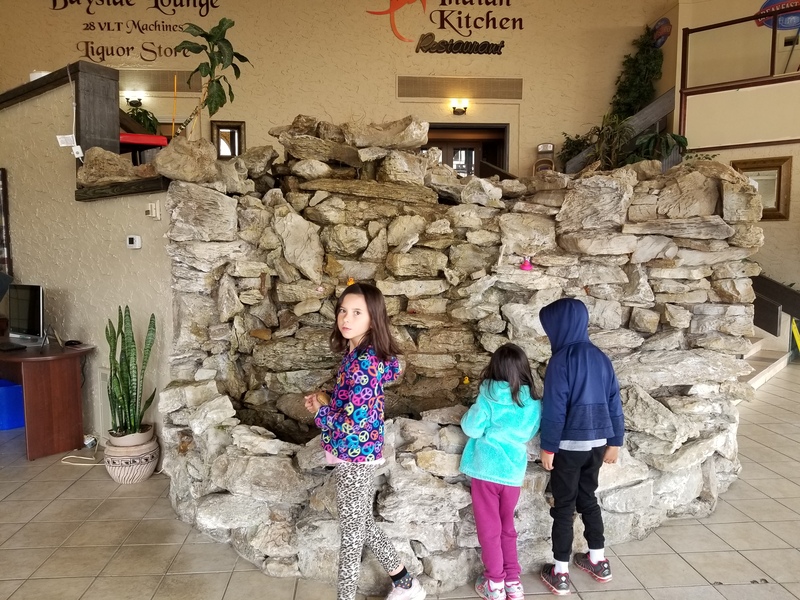 The kids also get a kick out of the rubber ducks that adorn the fountain at the entrance to the hotel. 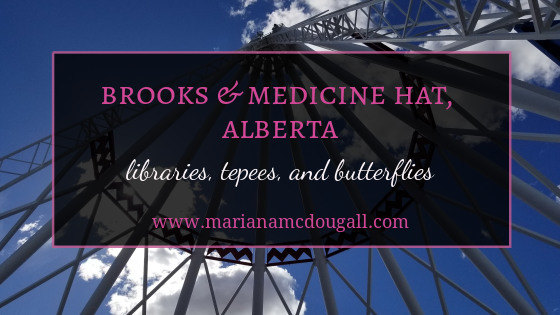 After watching some TV, getting lots of sleep, having a bath, and eating a breakfast we didn’t have to make, we make our way out of Medicine Hat, with a stop to see some butterflies before heading to the next destination. 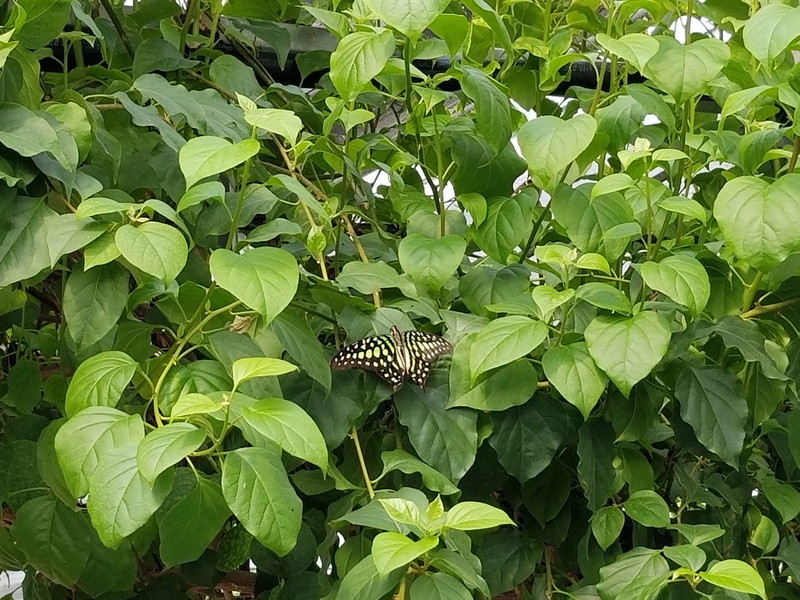 We’ve been to a butterfly garden before on this trip, but why not see one again? The butterflies are always gorgeous, and a little time in a humid place after all the dryness of Alberta doesn’t hurt. 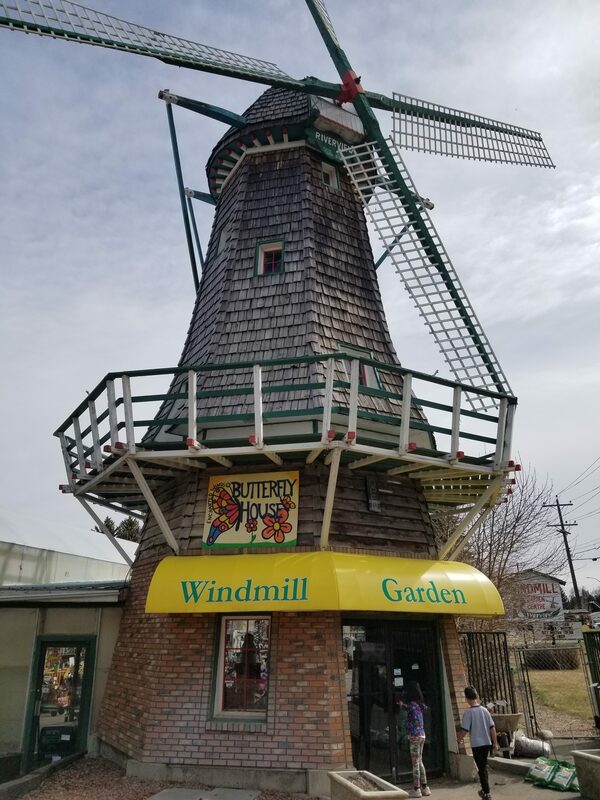 So off we go to the Butterfly House at the Windmill Garden Centre. I was still recovering from the bug and was exhausted, but I still enjoyed the visit. After a while, I admired the beauty while sitting on a bench, though. We were able to park the RV in the parking lot of the Garden Centre, albeit with some difficulty. 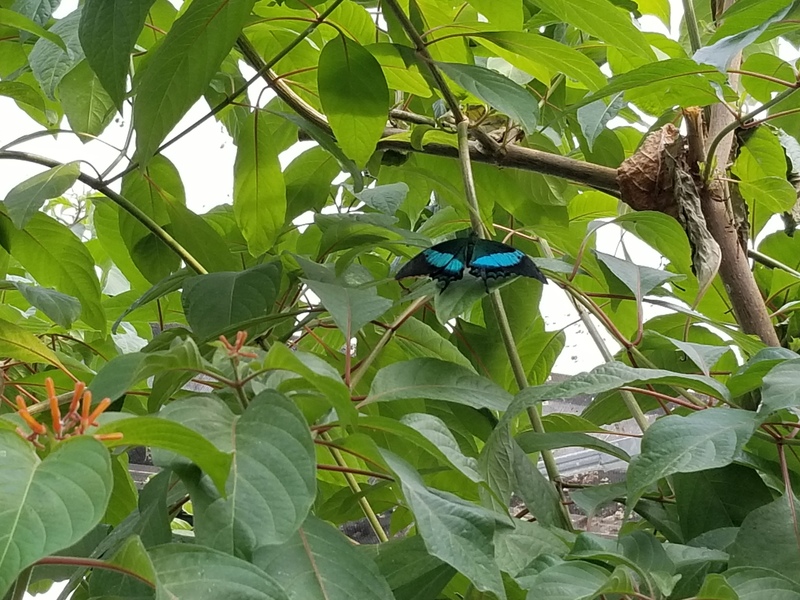 Once we were parked, we headed in to see the beautiful insects. 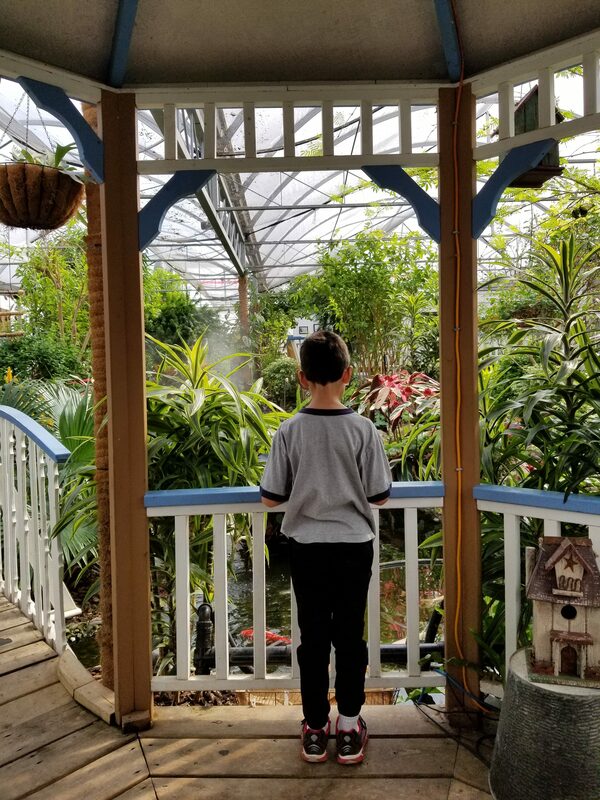 In addition to butterflies, John’s Butterfly House also has a very nice koi pond with koi fish and a turtle, there are button quails running around, and a couple of free-flying birds as well. It’s a beautiful, albeit small space, and I’m sure during Alberta’s cold winters, it’s a welcome break to visit a hot, humid spot. After spending some time in the Butterfly House, we visit the small petting zoo in the Garden Centre. 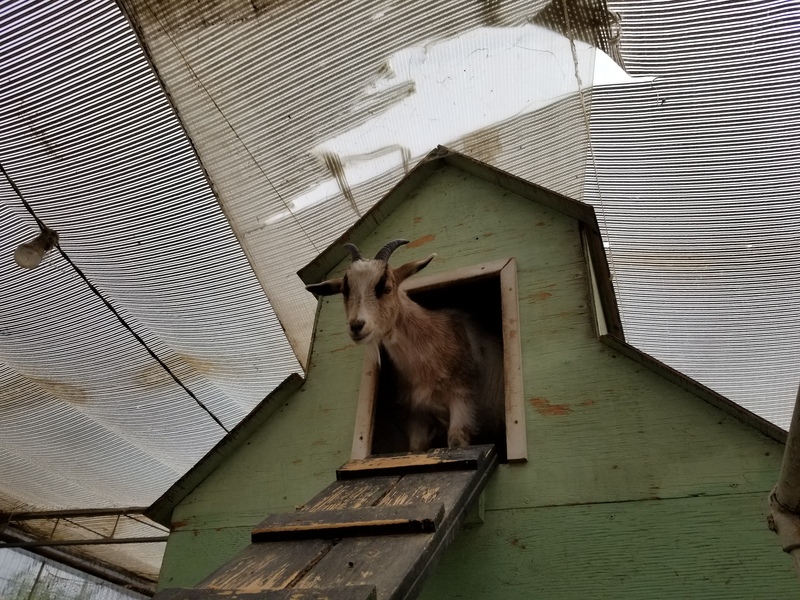 There are two goats, a goose, and some chickens and roosters. 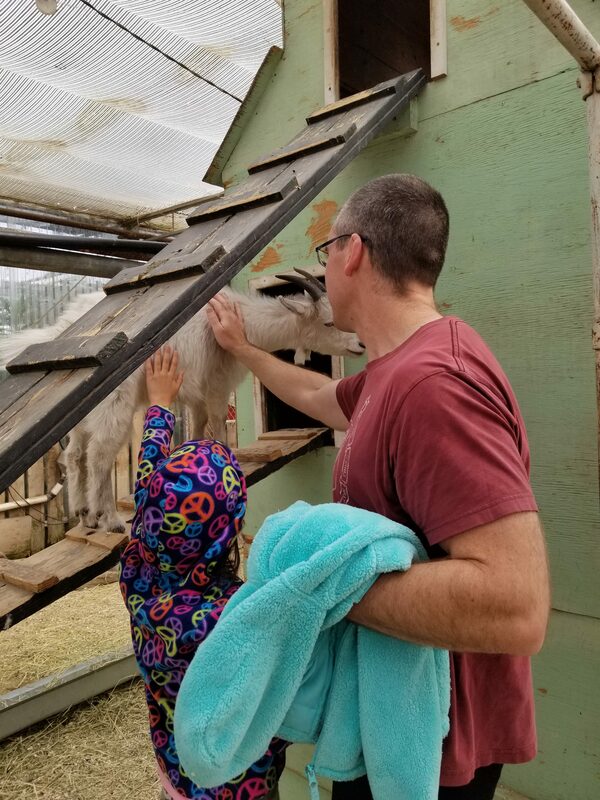 Everyone loves petting the goats, and it looks like they like it, too. After enjoying our outing, we got back into the RV to drive to our next destination—Saskatchewan. 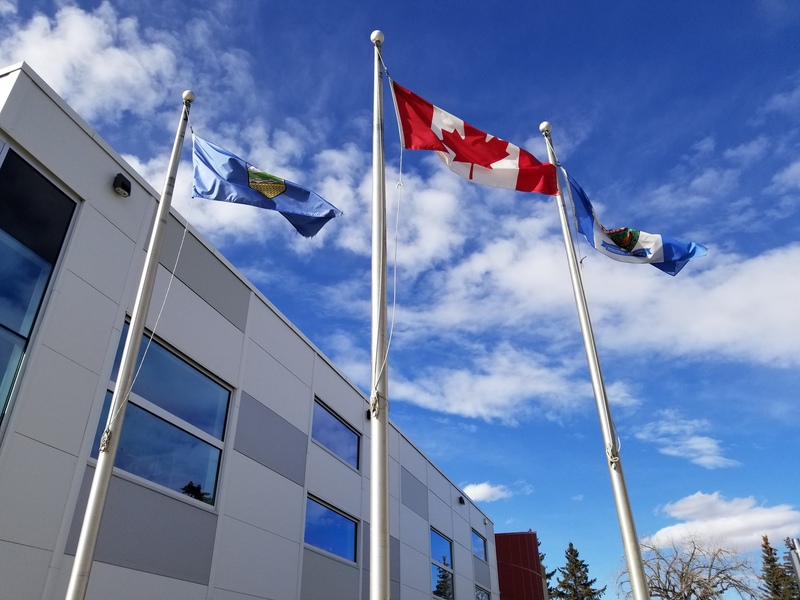 We enjoyed our time in Medicine Hat and recommend it to anyone who loves sunny skies, smaller cities, and unique experiences.